Hi lovelies! Katie checking in here!! It has been such a fruitful season for us out here and we are so excited that it is nowhere near slowing down. We have had beautiful wedding after after beautiful wedding, a chunky six month old, and so many new developments going on around the venue. We are putting up a new fence, more parking, lights went up under our pavilion, and there are things we are cooking up behind the scenes around here...stay tuned for more updates from us! We had such a fun family photoshoot this week with Ashley Monogue and we cannot WAIT to share those pics with you. She is so talented and so so fun to work with. We also cannot WAIT to share our newest Real Wedding with you guys...the Winkelmanns! 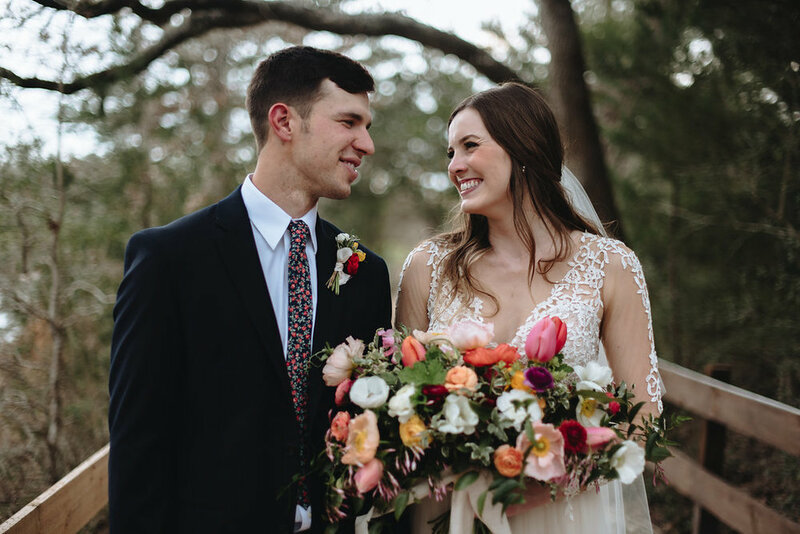 Carrington and Grant were overflowing with love for one another at their March wedding. They were so sweet to each other and everyone around them all day, and you could really tell they radiate that joy every other day of their lives too. 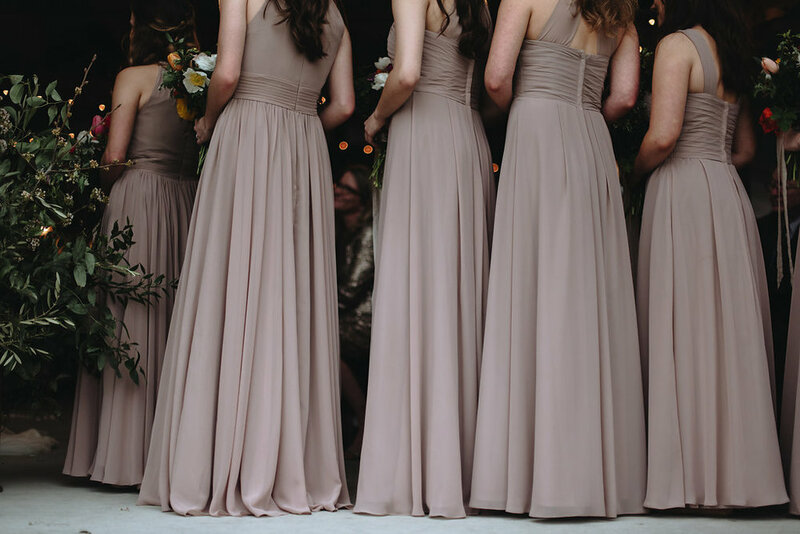 They were a dream to work with and we are so excited to show their sweet story and gorgeous photos taken by the lovely Audrey Spiars with you. Are you swooning as much as we are?! They are SO. PRECIOUS. 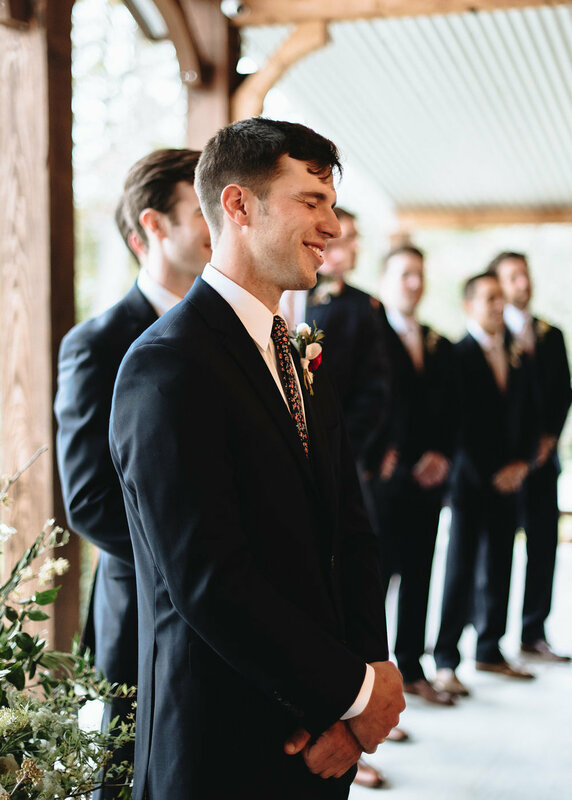 Before the ceremony kicked off the day's celebrations, Carrington and Grant were able to get ready in our cottages where they were able to celebrate with their favorite people. They ate, drank, and were so merry! The two love birds chose to exchange gifts on the morning of their wedding and their reactions were just the sweetest. Their awesome team helped them set everything up for their reception in our barn with the cutest decor! Their bridal party was seriously so fun and were so supportive of Grant and Carrington all day! After the soon-to-be Winkelmanns and their team were done getting everything setup and getting pampered, it was time to get these two down the aisle!!! Due to a rainy forecast, they chose to have their ceremony under our pavilion. With our new string lights and their beautiful greenery, it was such a cozy ceremony overlooking our pond. "Man, we don’t have enough good words to say about our experience having Peach Creek as our venue. Not only was the venue designed with every detail in mind to help make the day go smooth, but the people!! The people at peach creek were the most helpful, patient, servant hearted people in the wedding industry. Our plan A was to have the wedding by the lake but as the clouds blew in we moved under the pavilion and not a single bit of the magic was lost. We LOVED having our ceremony under the pavilion with the dreamy string lights. Seriously everything was perfect and we couldn’t recommend Peach Creek enough. Our guests have been raving about the place ever since." This Sunday wedding was seriously dripping in joy and fun! It was truly a pleasure to be able to watch the love these two share on the biggest day of their lives!